A djembe player celebrates a beautiful day with friends on Grande Cayes beach. 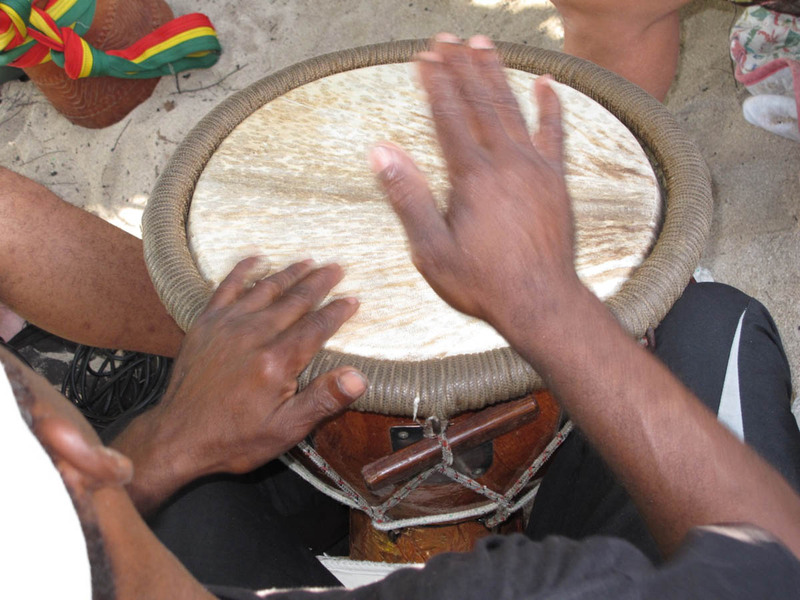 Music and especially percussions are part of St Martin/St Maarten tradition, and played in many events all year around. Un joueur de djembe celbre une belle journee avec des amis sur la plage de Grande Cayes. La musique et particulierement les percussions font partie integrante de la culture de st Martin/St Maarten, et on peut entendre les tambours resonner ici et la tout au long de l’annee. Museums have historically been centers of research, education, and public outreach. 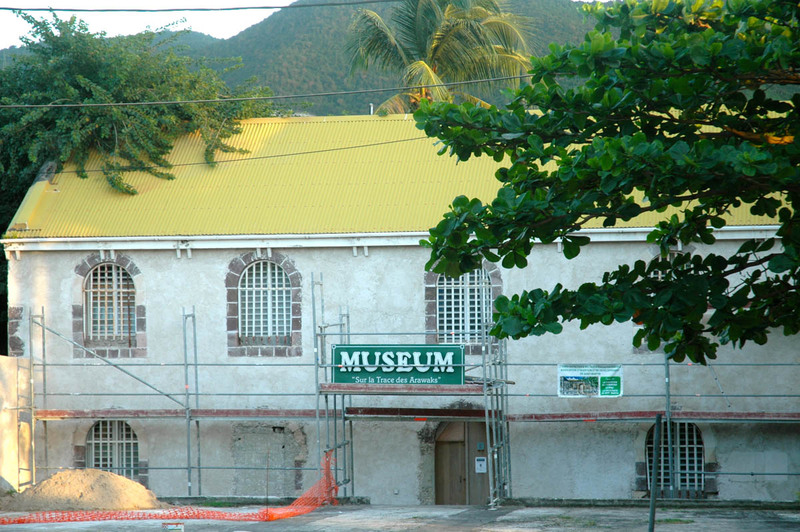 St Martin/st Maarten cultural heritage has been preserved in the Museum on the road to Fort Louis, near the catholic church. Although it has been opened for many years, and contains rare and original artifacts from the first island’s inhabitants, the Arawak indians, too few people know about it and/or visit during opening hours, Monday to Friday, 9am to 4pm.